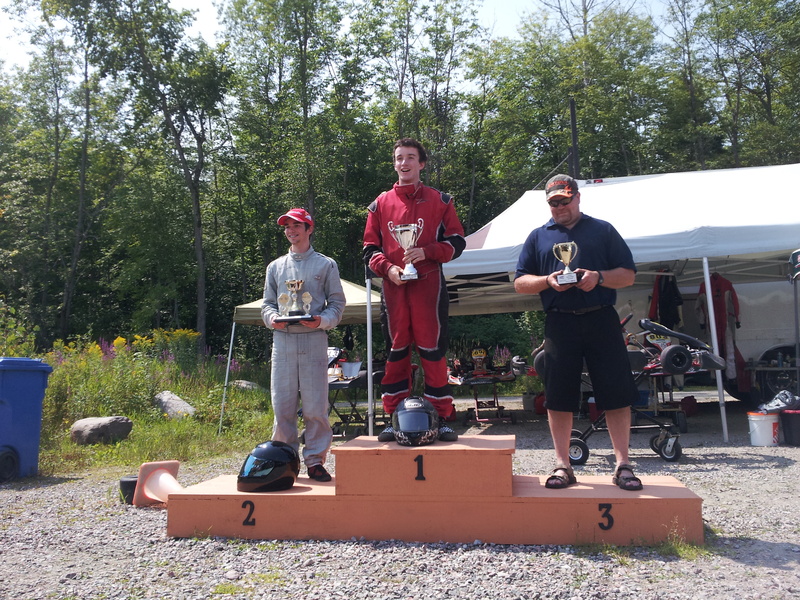 (Quyon, QC) What a fantastic weekend of racing! 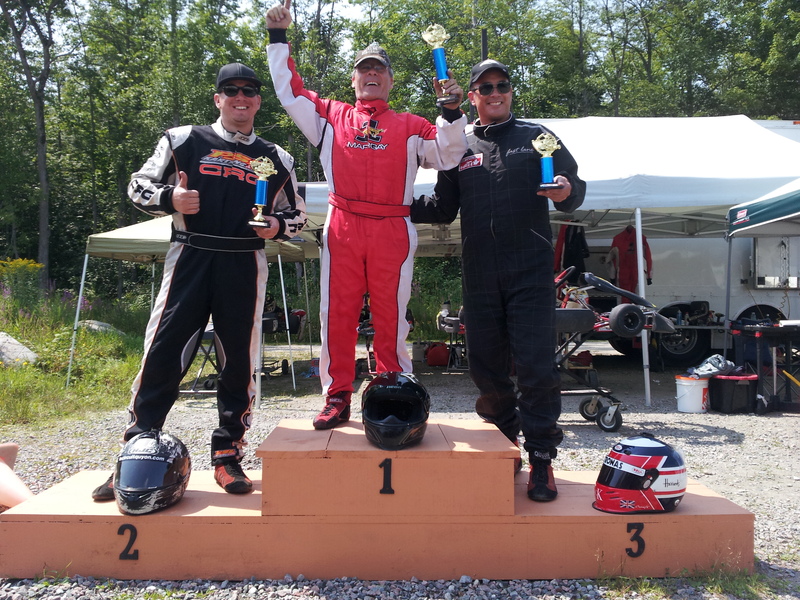 Le Circuit Quyon once again hosted the OGKC for practice sessions on Saturday, August 9th and full-out racing on Sunday, August 10th. It was a sweltering hot weekend, with temperatures on race day reaching 30C! It was a sunny and hot one for racers and spectators alike; everyone was reminded to keep hydrated throughout the event! Le Circuit Quyon’s new timing system performed flawlessly on its race debut. 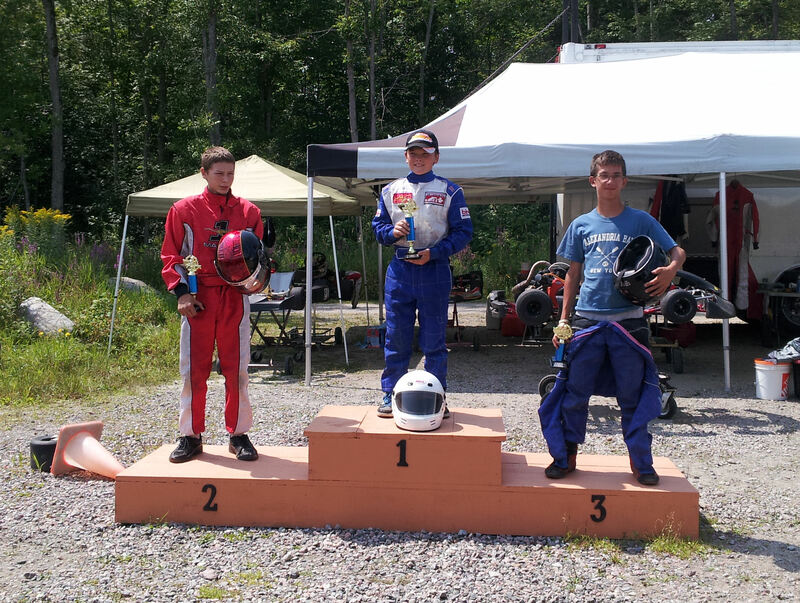 Transponders were issued to the racers, and the transponder details were recorded for each kart that participated. 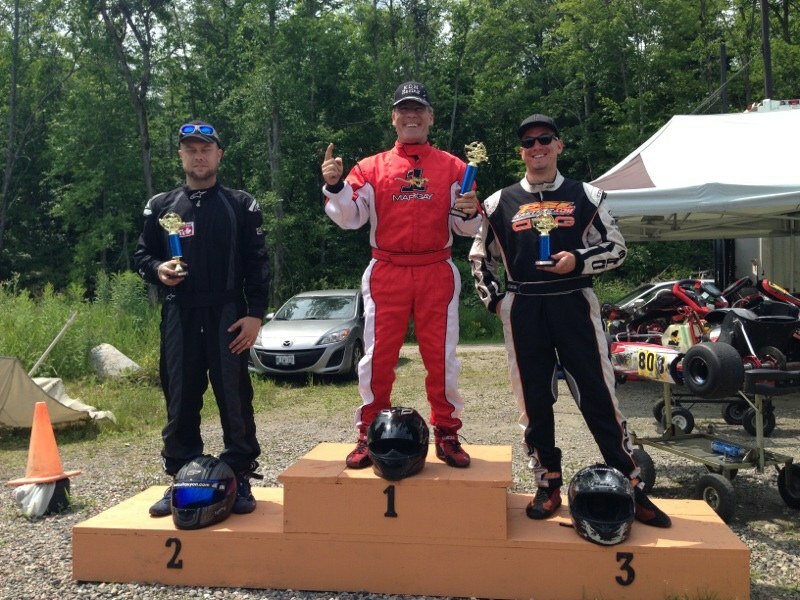 The new Motosponder system works off of the latest radio-frequency identification (RFID) technology, and tracks last lap time, elapsed time, lap count, best lap time, difference in total time from the leader, and also the gap from the racer ahead. As the timing system was operational, the race format was changed from ‘Heat 1, Heat 2, Final’ to ‘Qualifying, Pre-final, Final’. This made for some exciting hot-lap action! 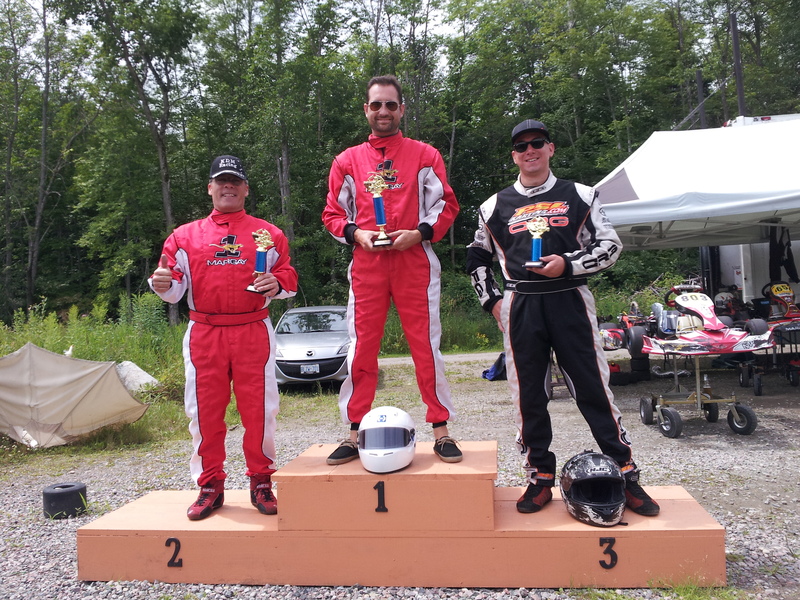 Congratulations to all of the racers that made the podium, and a big thank you to everyone that participated in making Race #8 of the Ottawa-Gatineau Karting Championship (OGKC) a resounding success with over 30 racers taking to the grid on a hot and steamy Sunday! Special thanks go to Race Director Jason Bolton and the track marshals and volunteers for keeping everyone safe and sound throughout the weekend! 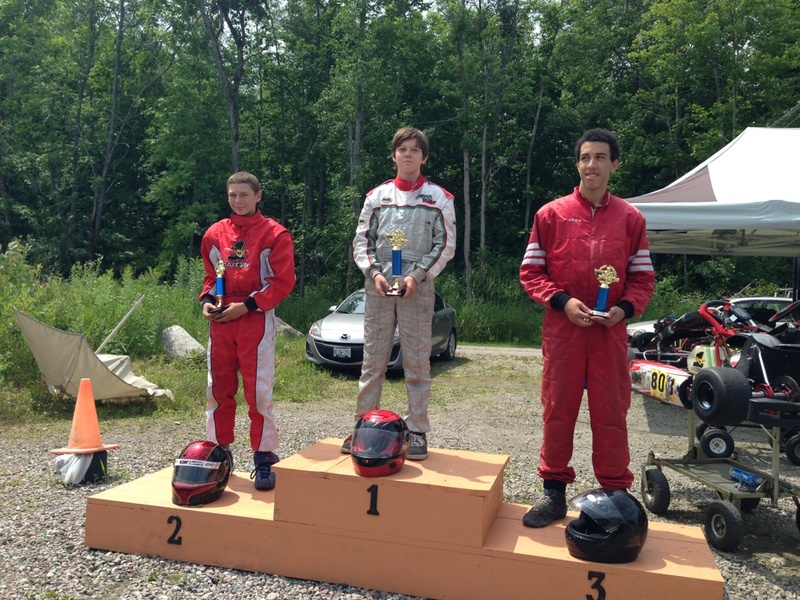 Karting continues to grow in Canada’s Capital Region, and we’re loving it! Race #9, originally planned as an away race, will now be held at Le Circuit Quyon. The participants of the OGKC held a vote and it was decided that Le Circuit Quyon would be the venue for Race #9 of the series, with the track configuration being the original track. This should make for a tight and twisty event with very little time to relax. It has been a couple of years since this configuration has been used, so get ready for some entertaining racing! 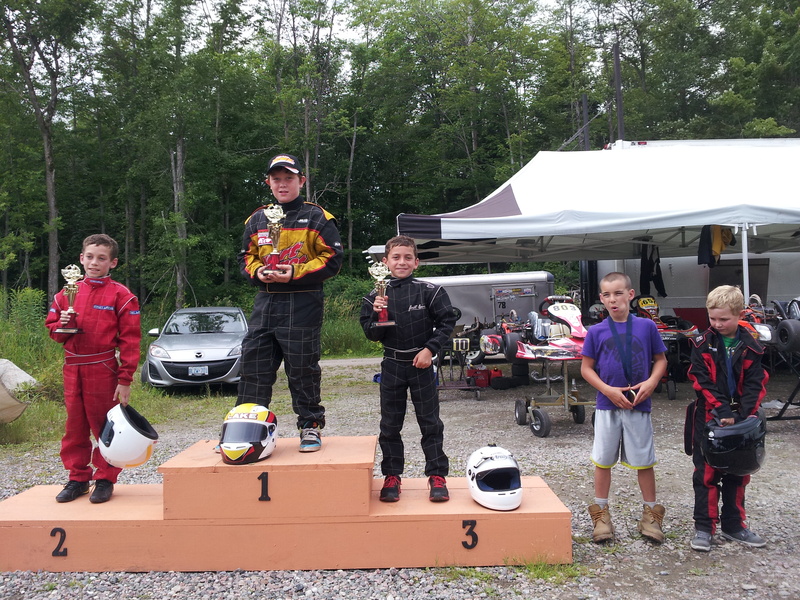 The OGKC and Le Circuit Quyon look forward to seeing you on Sunday, September 7th for the penultimate race of the championship! We are getting down to the wire, with only two races remaining this season! Online registration for Race #9 will be available one week prior to the event. To see the current series standings, please visit the following site. 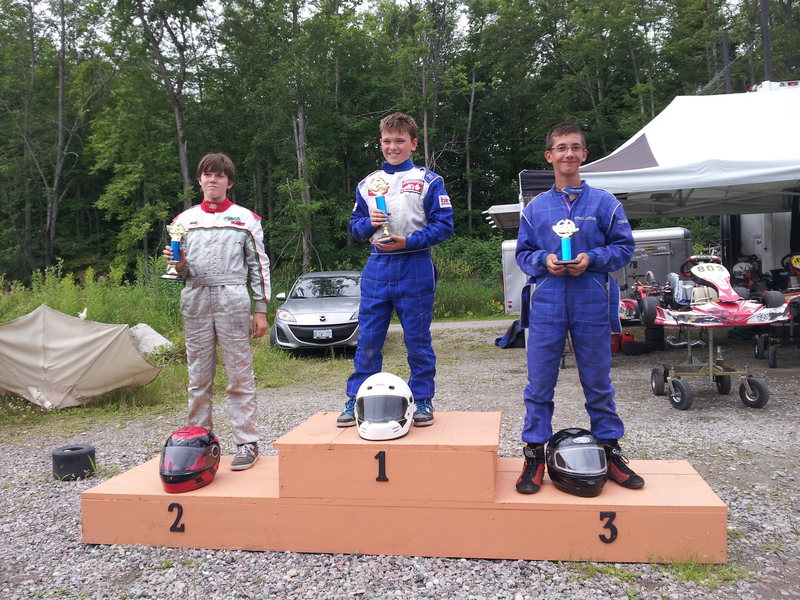 Good luck to the OGKC’ers that will be participating at the 2014 ASN Canadian Karting Championships to be held in Mont-Tremblant from August 20th to the 24th. Bring back some hardware for us!!! 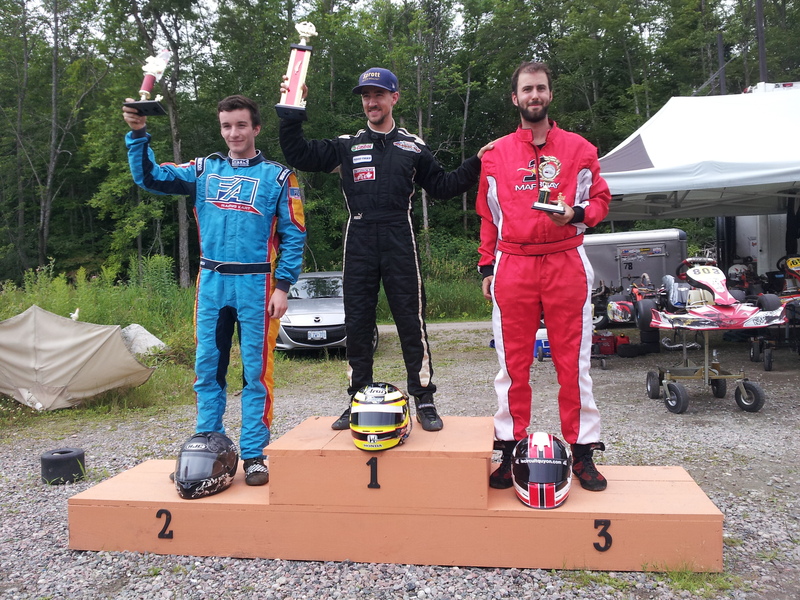 (Quyon, QC) On July 19th and 20th, Le Circuit Quyon hosted its second Ottawa-Gatineau Karting Championship (OGKC) doubleheader of the 2014 season, and it was another weekend to be remembered! Practice was held on Friday, and attendance was incredible. The paddock area looked like race day, full of trailers and tents and karters ready to rock the track! The sessions were held in the full-track/clockwise format – and it was an extremely busy day at the circuit! 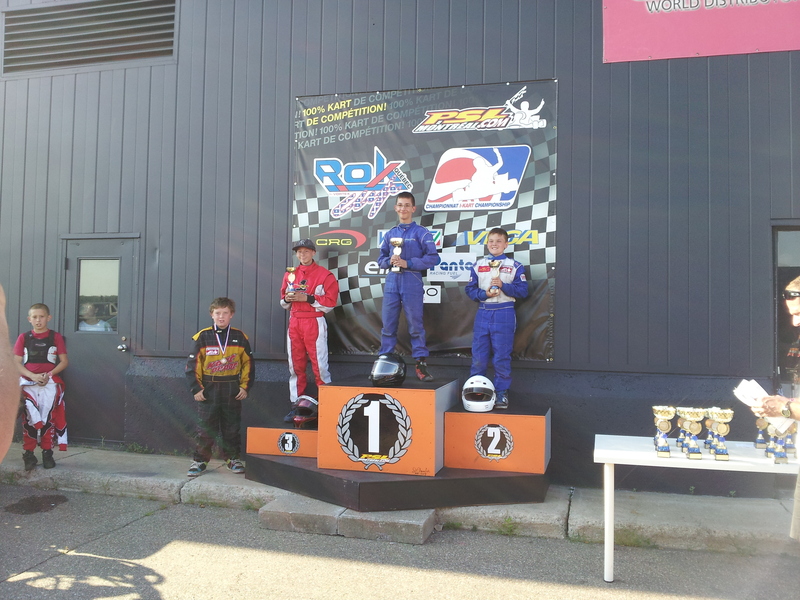 Congratulations to the podium finishers on their excellent results in Race #6 of the OGKC doubleheader! It was a great day for all the racers, with testing continuing into the late afternoon in preparation for Race #7. Sunday’s forecast was for rain showers early, clearing throughout the day. No one could predict what the weather would be like on Sunday, but everyone knew that it would be a challenging event in changeable conditions! To add even more excitement to the race, it was decided that Race #7 would be held in the full-track/counter-clockwise format – a first for Le Circuit Quyon and the OGKC. 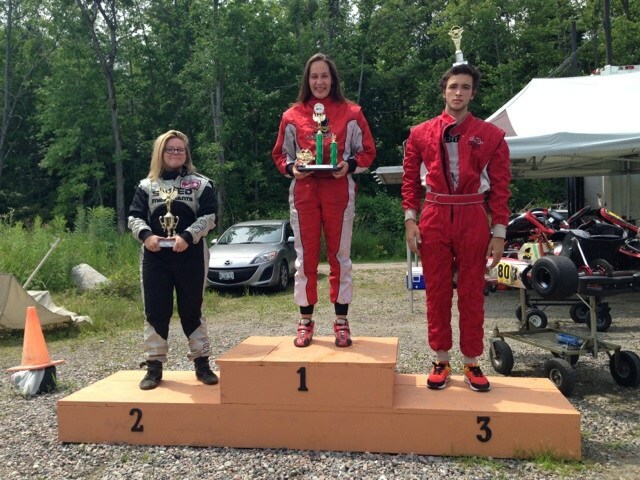 Congratulations to all of the racers that made the podium, and a big thank you to everyone that participated in making the second OGKC doubleheader a resounding success with 30 racers taking to the grid on Saturday and 24 making it out for Sunday’s race in unpredictable weather conditions! Special thanks go to Race Director Jason Bolton and the track marshals for keeping everyone safe and sound throughout the weekend! 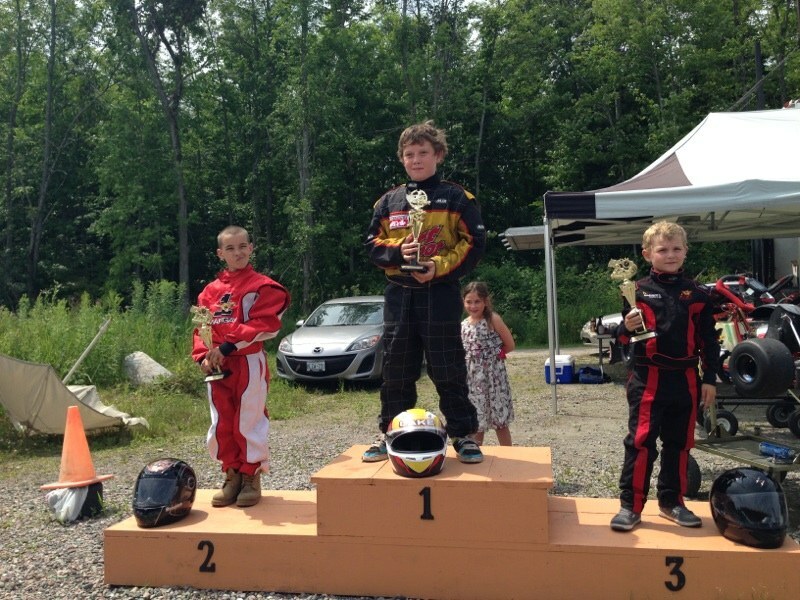 Karting continues to grow in Canada’s Capital Region, and the OGKC is confirming itself as a popular series. 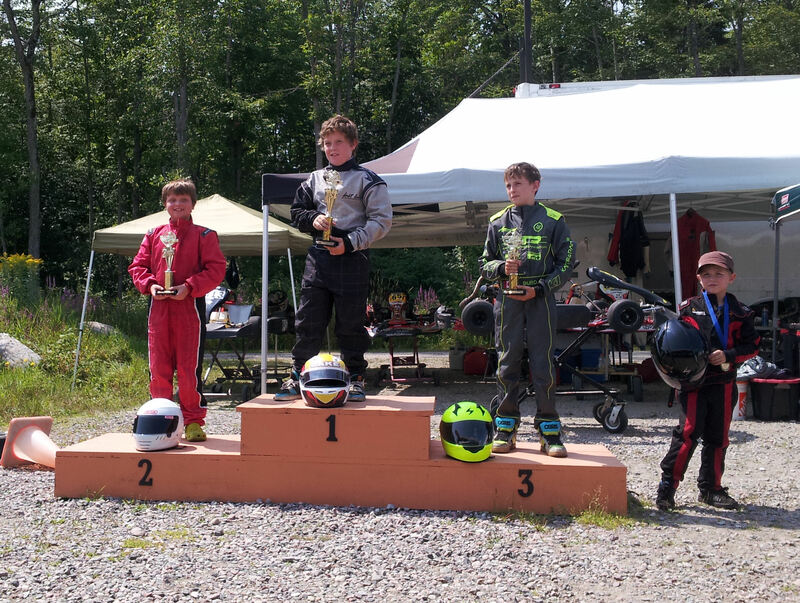 The OGKC and Le Circuit Quyon look forward to seeing you on Sunday, August 10th for Race #8 of the championship! We are getting down to the wire, with only three races remaining this season! Online registration for Race #8 will be available one week prior to the event.